This section illustrates our range of low capacity load cells and force sensors designed for the measurement of low range load, weight and force. Our selection of low capacity load cells offer ranges from 0-25grams to 0-1000grams, with non-standard ranges available on request. Load cell design types include S-Beam, single point, isometric and bending beam. 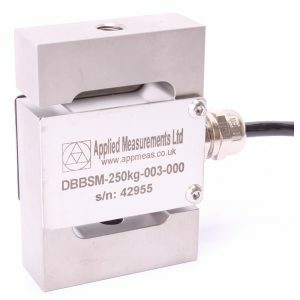 All low capacity load cell models can be supplied with analogue or digital instrumentation including amplifiers/signal conditioners, digitizers, displays and indicators. Calibration traceable to UKAS standards is available on all low capacity load cells and systems.